1) High pressed extruded aluminum (6061/T6) frame with high quality, strong and anti-rust. 2) Steel (GB/Q235) frame are made of hot-dip galvanized, surface is sprayed with plastic. 3) Unitized structure can be built up according to customer needs. 4) No bearing column in the structure. 5) Service Life: 10-15 years. 1) High quality double PVC coated polyester textile. 2) Waterproof, flame retardant to DIN4102 B1,M2, windproof(80-100km/h),UV resistant, temperature resistance:-30~70°C, side walls 650g/m2, roof cover 750g/ m2 or 850g/m2. 3) The fabric color is mainly white, blue, gray or other. 1) The ground (cement, tarmac) can use the expansion screw to fix, charge free. 2) If the ground is the loose ground (such as the sand and grass), it must use the Steel nail. 3) If the ground can't holed (such as marble and tile), it must use the Loading system. 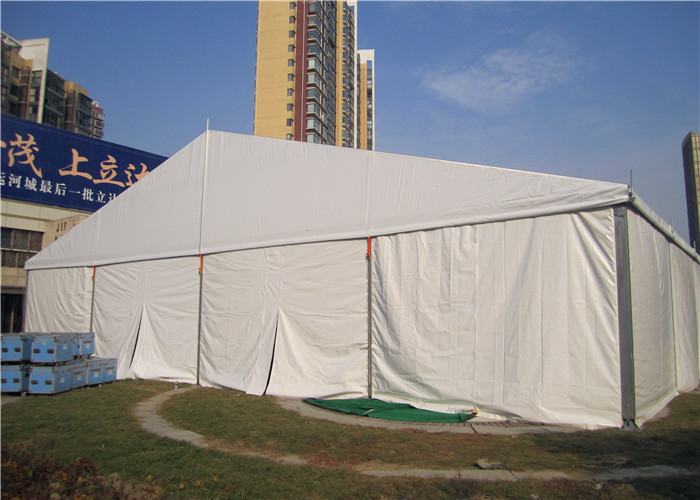 MST tents can be used for wedding, warehousing, exhibition, tour and other activities tent, its use is widely used in a variety of outdoor large-scale events. We can provide customers with a variety of accessories such as: ABS hardware wall, sliding doors, ceiling cloth, bearing plate, carpet, lighting, etc., and do our best to make different customer needs to be achieved. 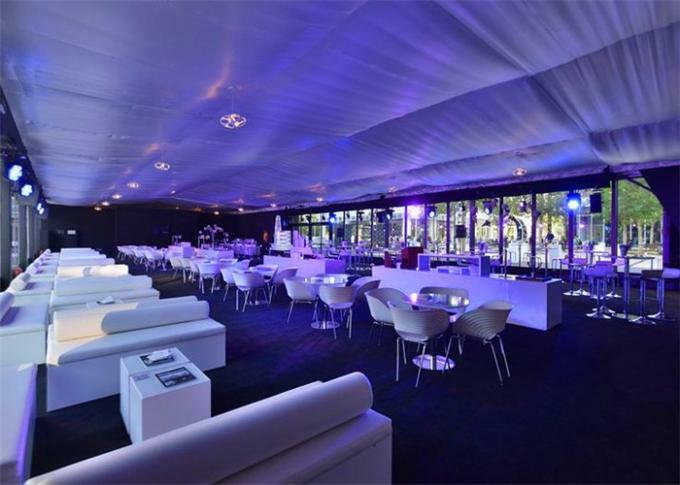 Copyright © 2017 marqueepartytent.com. All Rights Reserved.